Hans Dehlinger (b. 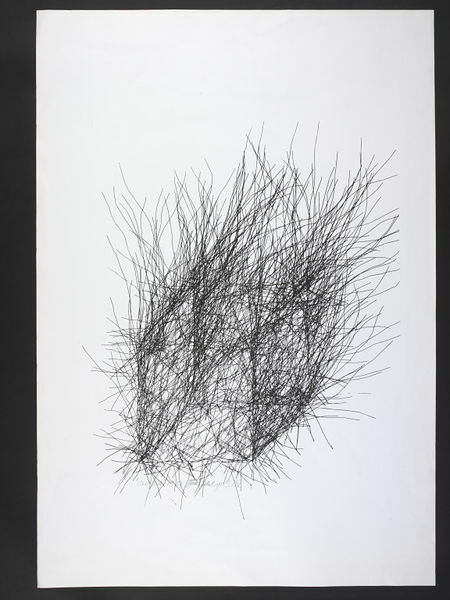 1939) trained as architect but in the 1980s began using computers to produce generative art, focusing on plotter drawings created using algorithms, or computer code, he had written himself. A pen plotter is a mechanical drawing device that holds a pen or brush and is linked to a computer that controls its movements. Plotter drawings can be very time consuming to produce and are often transferred into a different media, such as a screenprint or, as here, a lithograph, from which futher copies can be produced more easily. 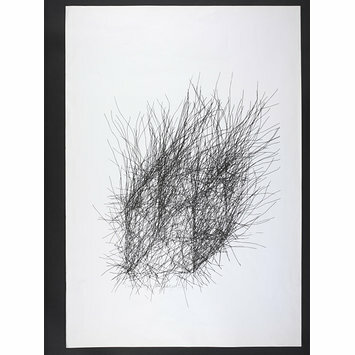 Black and white silk print after a linear computer-generated drawing. Titled, signed and dated with pencil in the lower part of the print.